"Oh, Dakuwaqa!" 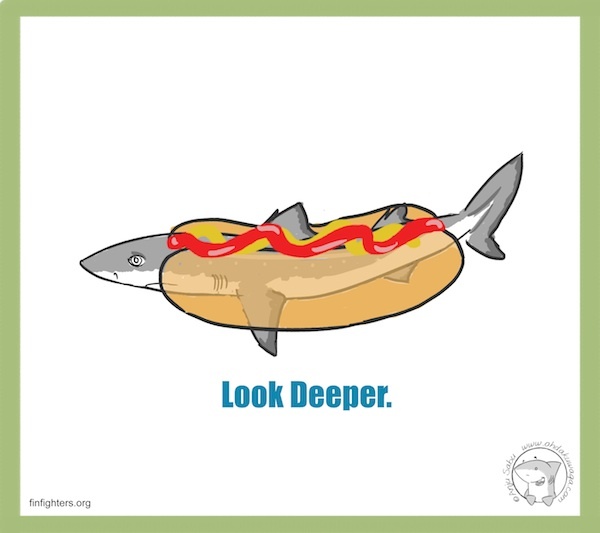 - The Shark comics and cartoons: Look Deeper #2: Hotdogfish? I don't think they put dogfish in hotdogs but they certainly are consumed in other forms. These sweet sharks (especially the spiny dogfish) are in extreme danger of extinction because people sell these as fish and chips, rock salmon and such. Please know what it is exactly that you are buying. Sharks are not even good for you. 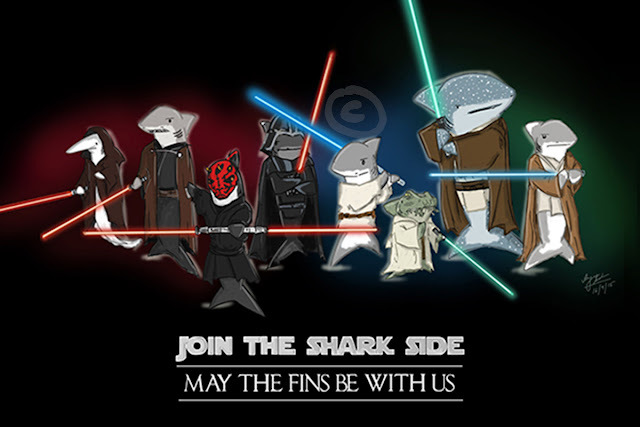 It's less good for the shark.